Starz releases the official trailer for its hit Original Series “Outlander,” premiering on Sunday, November 4th at 8PM ET/PT. Fans now get a closer look at new footage from the forthcoming season based on Drums of Autumn, the fourth of eight books in Diana Gabaldon’s international best-selling Outlander series. 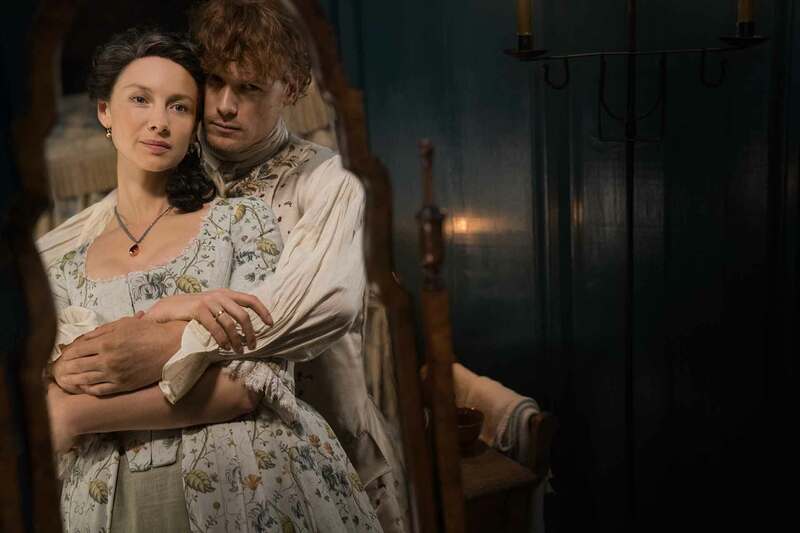 Season Four of “Outlander” continues the story of time-traveling 20th century doctor Claire Fraser and her 18th century Highlander husband Jamie Fraser, as they try to make a home for themselves in colonial America. As Claire and Jamie build their lives together in the rough and dangerous back country of North Carolina, they must negotiate a tenuous loyalty to the current British ruling class, despite Claire’s knowledge of the American Revolution to come. Along the way, the Frasers cross paths with notorious pirate and smuggler Stephen Bonnet in a fateful meeting that will come back to haunt the Fraser family. Meanwhile in the 20th century, things are complicated between Brianna Randall, Claire and Jamie’s daughter, and Roger Wakefield, the historian who helped Claire search for Jamie in the past. But when Roger and Brianna search for proof that Brianna’s parents reunited in the 18th century, a shocking discovery makes both of them consider following in Claire’s footsteps. Starz recently renewed “Outlander” for two more seasons, taking the series through its sixth season. Starz retains all domestic multiplatform pay TV rights to the original series. The “Outlander” television series, executive produced by Ronald D. Moore, Maril Davis, Toni Graphia, Matthew B. Roberts and Andy Harries, is inspired by Diana Gabaldon’s eight-book Outlander series. “Outlander” is produced by Tall Ship Productions, Story Mining & Supply Company and Left Bank Pictures in association with Sony Pictures Television.